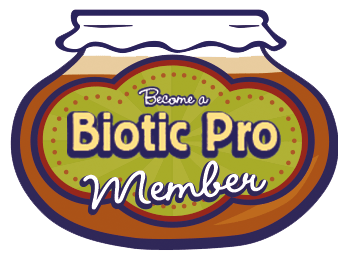 Will Eating Probiotic Foods Make Any Difference?Biotic Tomatoes are Super Foods Times Ten! 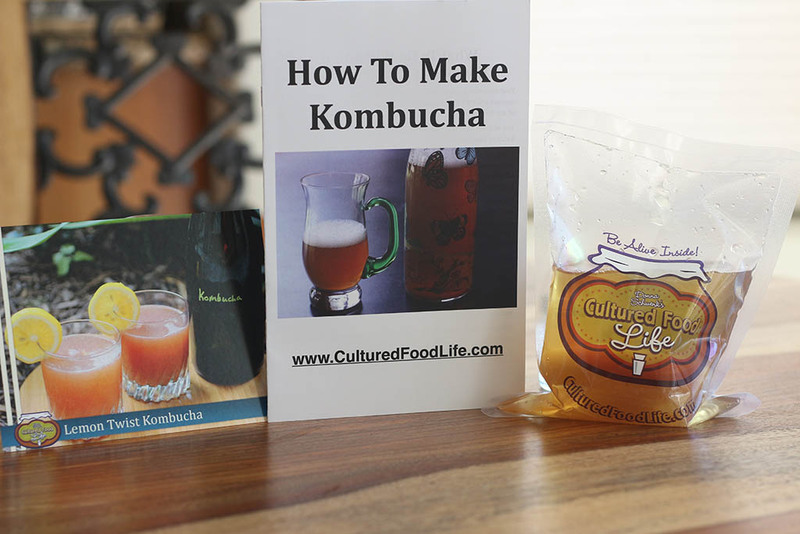 There are a lot of common misbeliefs when it comes to SCOBYs – the wonderful SCOBY (Symbiotic Culture of Bacteria and Yeasts) that makes our wonderful kombucha! Here are some of the issues I get asked about the most.Kombucha scobys can be very strange looking but that doesn’t mean something is wrong. Check for the answers below before you throw it out. 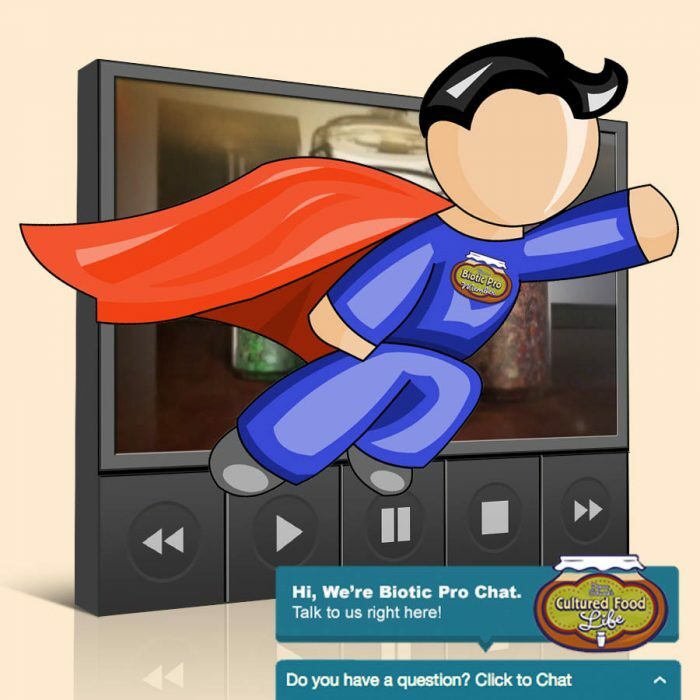 We’ve been doing this a long time and we have answers for most of your questions. 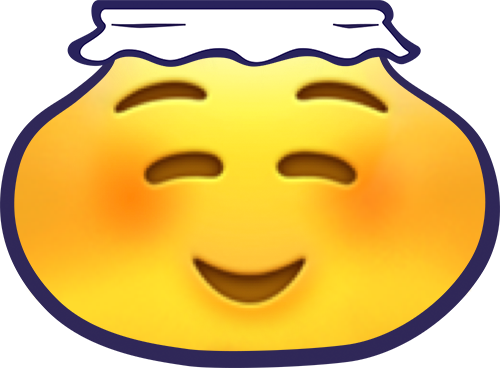 You see, every time you make a new batch of kombucha and add your starter tea and SCOBY, you will get a new SCOBY that forms on top of whatever vessel you are using. In days 1-3, when your new SCOBY is beginning to form, it begins by developing a thin film or spots on top of your brew. This is often mistaken for mold. 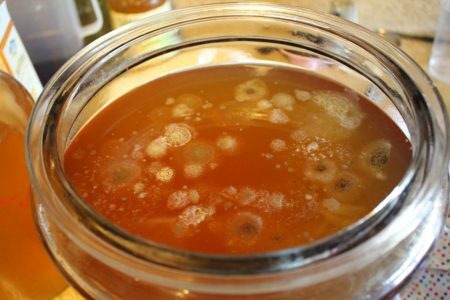 Mold is very rare when it comes to kombucha. If you ever do develop mold, it will be fuzzy and on TOP of the brew. As the days go on, it will be become a very distinct spot and color – either stark white, blue, or black. This can only happen if something is majorly off with your brew such as using the wrong ingredients (or forgetting one). Or you added your starter tea and SCOBY while your tea was still very hot, killing the good bacteria. Or your brew belt is getting much too hot for your vessel, killing the brew itself. Essential oil diffusers in the same room as your brew and other ferments can kill off the good bacteria and cause an imbalance as well. The only other reason you would get mold is if you have mold somewhere in your house. So before you panic and throw out the whole batch, give it a few more days and allow what most likely is a SCOBY to finish forming on top. My SCOBY has Dark Strings! Congrats! Everything is still okay. These are simply good yeast strings forming on your brew and are a normal sign of fermentation as well, especially after your first few brews. They will increase in numbers over time. The more scobys you have will also increase these dark strings but again it’s not a bad thing it’s just part of the process of fermentation. My SCOBY is Very Light! Again, no worries here either! This comes from either your first batch or you are using green or white tea. The lighter the ingredients, the lighter the SCOBY. The color of your SCOBY doesn’t matter. 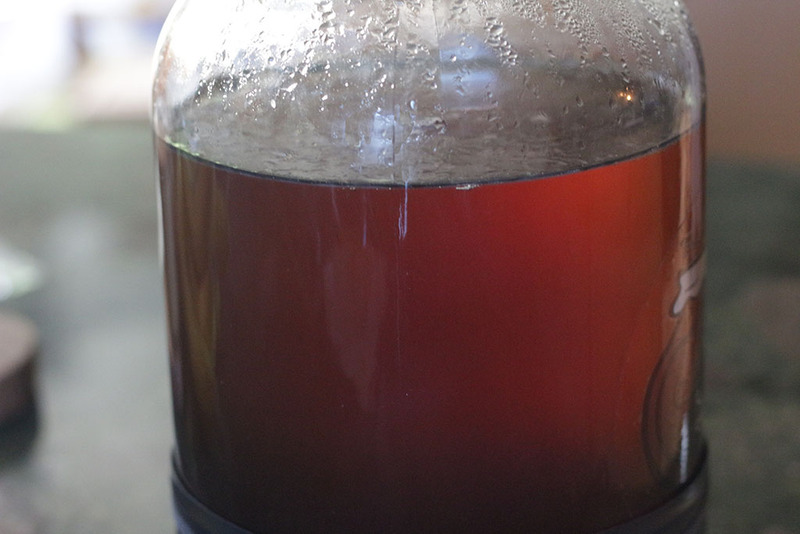 If you make a Hibiscus Tea Kombucha – you’ll get a slightly red colored scoby. 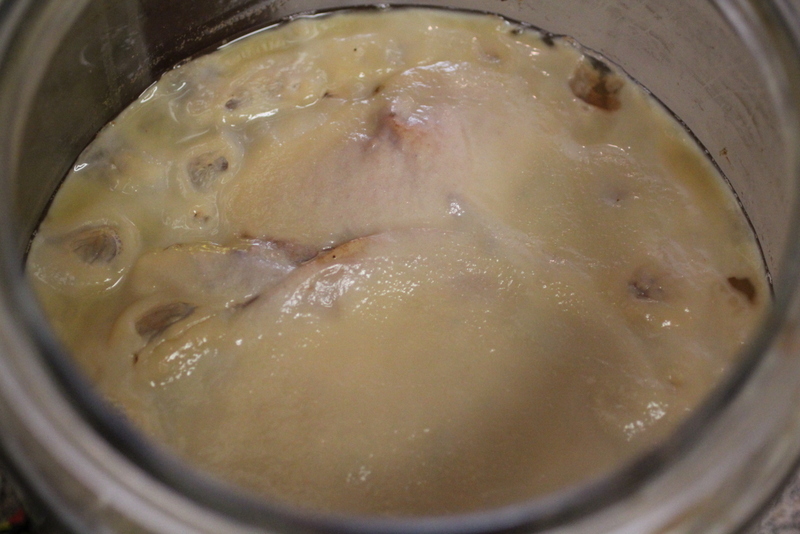 There is no truly “perfect” SCOBY and not all SCOBYs look the same. 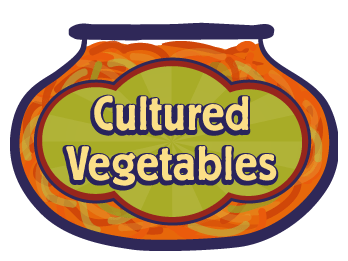 They can differ dramatically due to different ingredients, temperatures, seasons, and from your very own unique bacteria that already resides in your house. We’ve seen a number of unique looking SCOBYs over the years and almost nothing surprises us anymore. 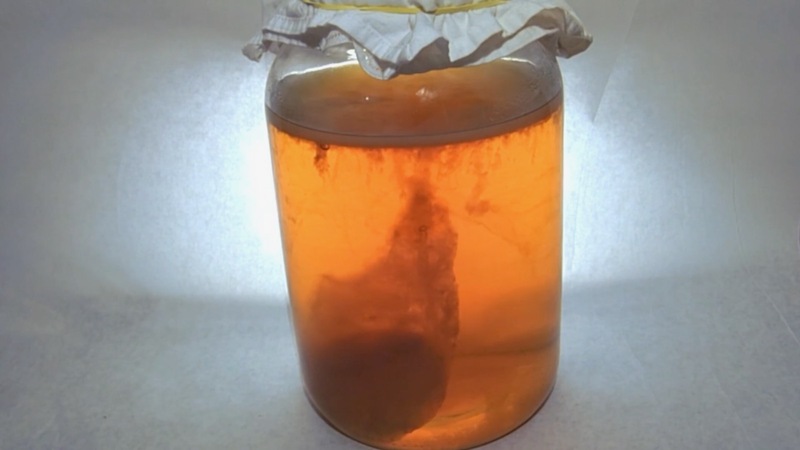 Do you see this SCOBY? It has many different colors and is lumpy but perfectly normal. 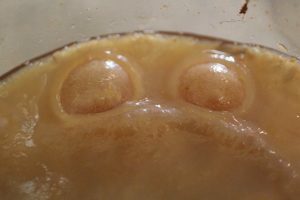 Gnats Flew Into My Brew and Laid Eggs on My SCOBY! ALWAYS make sure to use a rubberband and a tightly woven cloth like a napkin or fabric square, or even a paper towel or coffee filter, to cover your brew. Also make sure that your sweet tea is covered while it is cooling and you will never have to deal with this problem. If this does happen, you will need to toss your whole brew. My SCOBY Has Bubbles On Top of It! Don’t panic! 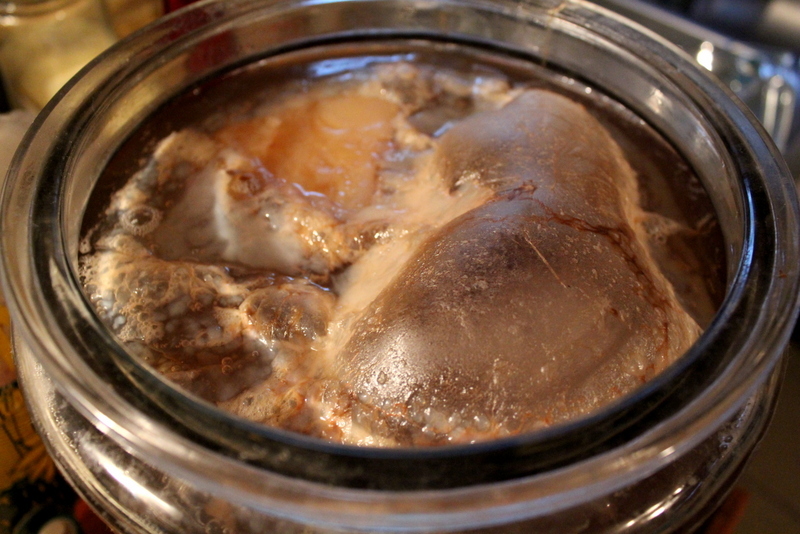 The SCOBY you use to start your brew can do whatever she likes. She can float, she can sink, she can lay sideways, or she can attach to the new SCOBY forming on top. 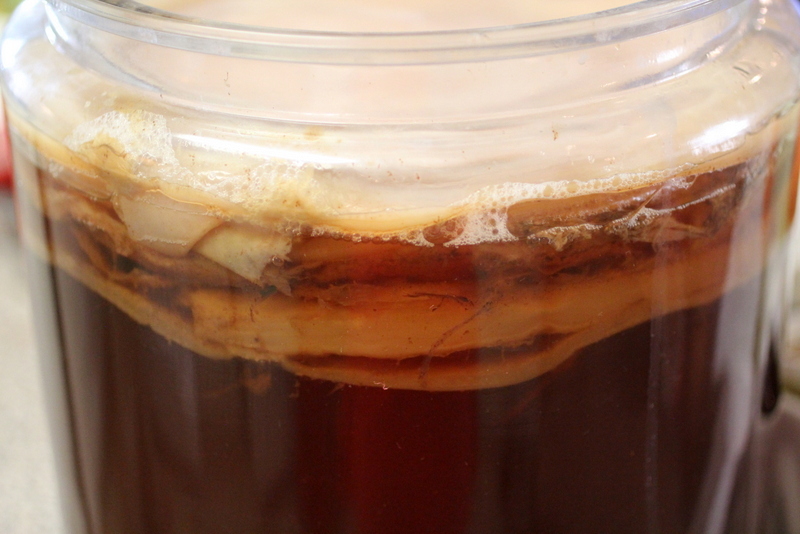 You will get a NEW SCOBY on top of EVERY new brew. 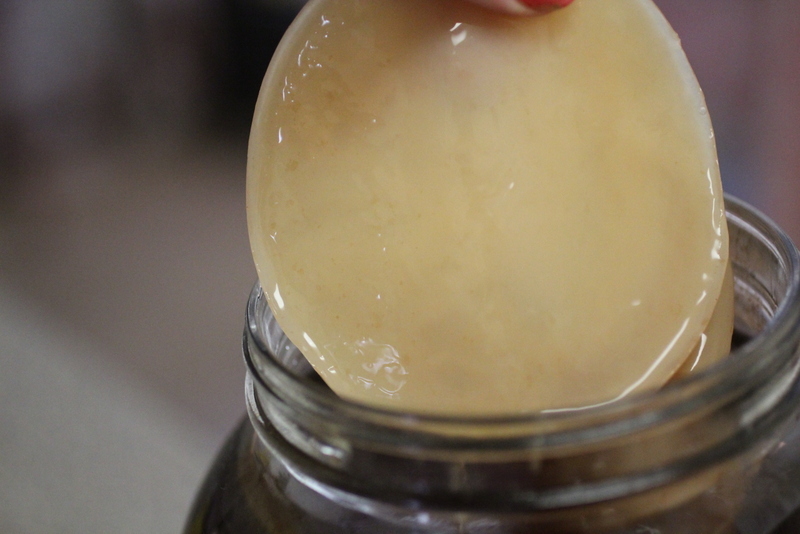 The new SCOBY will grow to fit the size of whatever size jar you are using. If the new SCOBY sinks, it is because she got moved. 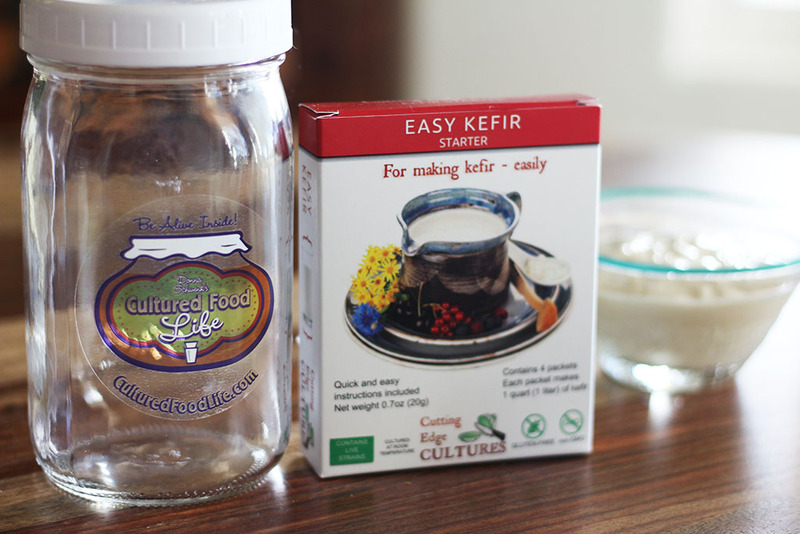 If you move the jar or the SCOBY on top, then the brew will start over with forming another new SCOBY. This is okay as well. Always go by the taste of your brew and not the SCOBY. 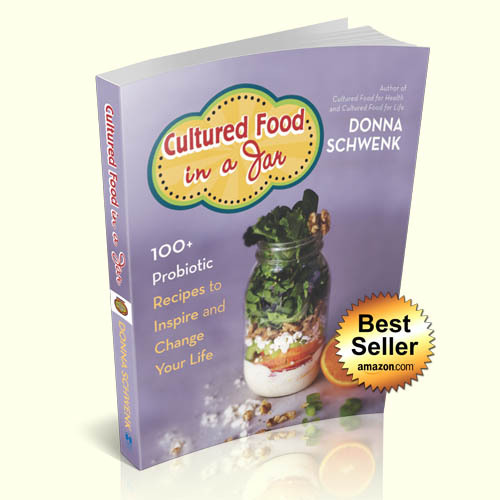 Keep in mind that your SCOBY will only grow during the fermentation of a new batch. The starter SCOBY you add into the jar will stay the same size as when placed in the jar. My SCOBY Has a Hole? You have a nicely carbonated brew! The holes in a SCOBY come from bubbles forming and then popping to release pressure! Your house is most likely on the warm side or your starter tea was extra strong. Either way, way to go! My SCOBY is Trying to Escape! Haha, this is my favorite! This happens when you fill your jar a little too full and don’t provide enough room for the new SCOBY. Or your batch is extra fizzy. 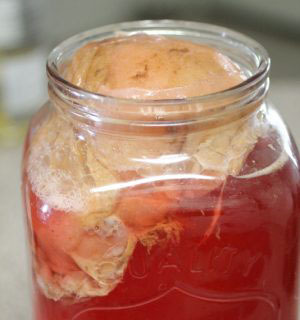 The scoby will start to climb the neck of the jar and carbonation will push it upwards. It’s fun to see! This is perfectly fine as well, so enjoy the show! By the way this is delicious Hibiscus Tea Kombucha – hence the red color. My SCOBY Has Dark Spots! The color of your SCOBY doesn’t matter. The darker you brew your tea (or coffee), or the darker the sugar you use (like Sucanat), or the longer a SCOBY remains in the jar from batch to batch, the darker she will get. This is simply staining from ingredients, so no worries! My SCOBY Has White Spots! 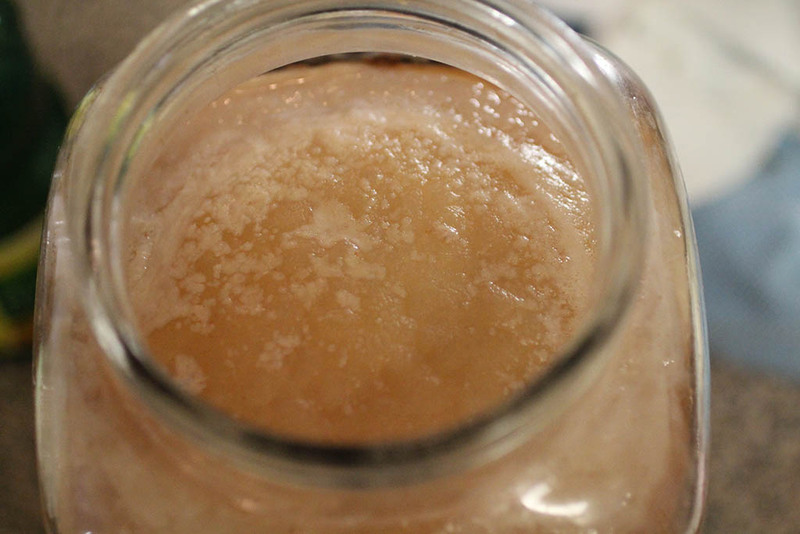 This can be bubbles forming on your SCOBY from carbonation! As mentioned above, this is NOT mold unless it is on top of the SCOBY and fuzzy and can be wiped off. 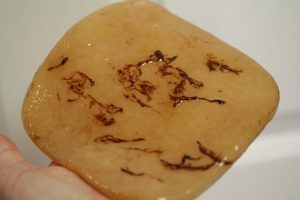 If this is a white spot naturally formed on the SCOBY, then all is well! Some Tea Leaves Got in and Attached to My New SCOBY! My New SCOBY Attached to My Old SCOBY! Yay! That is perfectly fine! It doesn’t have to happen, but it’s fine if it does. No worries at all here. You can tear them apart to start your next batch or you can leave them together as well. My SCOBY is Very Thin? If you are able to see through your SCOBY, a few things could be going on. 1. It may not be finished forming. As always, taste test your brew to know when it is ready. This is much more important than the SCOBY. But most often if you allow the brew to ferment a few more days it will get thicker and the brew will get less sweet. 2. 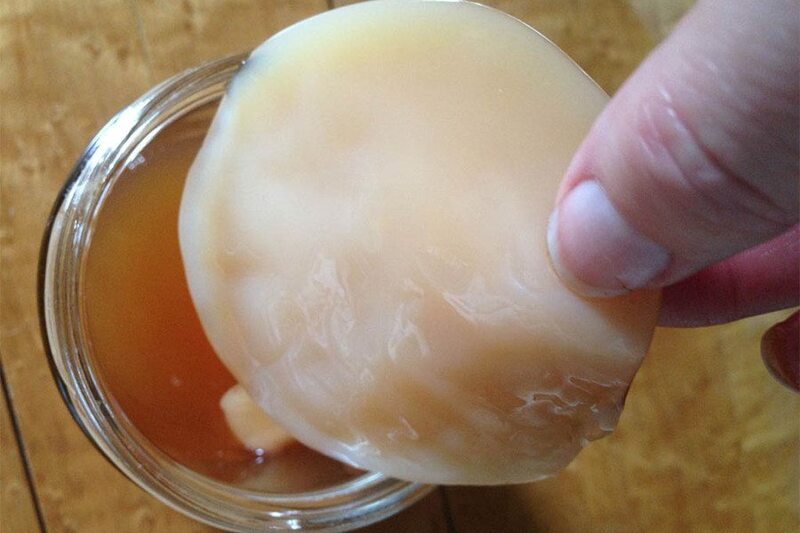 If the brew has been fermenting for a while and the SCOBY is still very thin, it could be that your house is very cool. 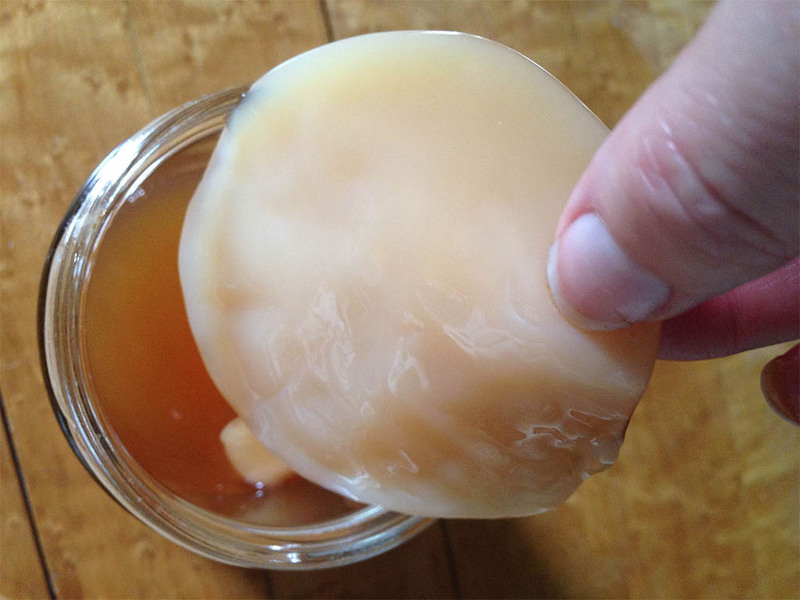 In the winter, or in houses below 70, the SCOBY will not thicken up like it will in warmer temps or in different seasons. Your brew can also take up to 3-4 weeks to finish. 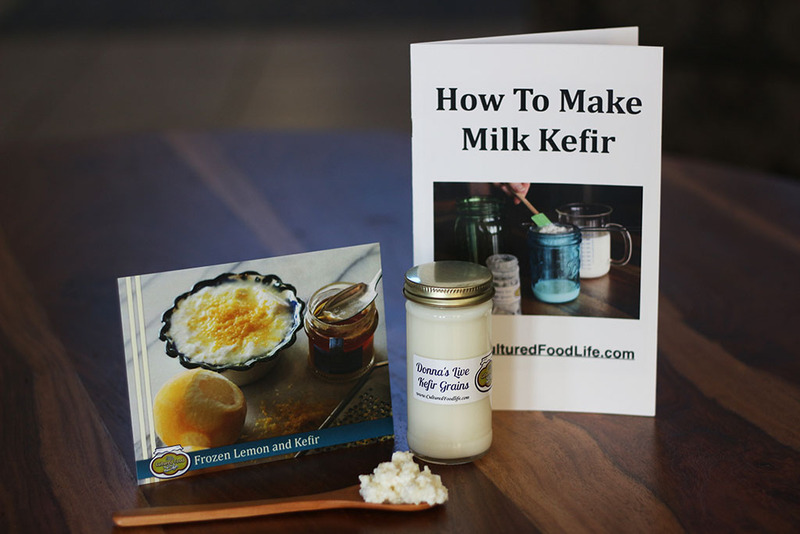 If your house is very cool, or if you are fermenting in winter, you can do a couple of things to help. Try adding double or triple the starter tea. 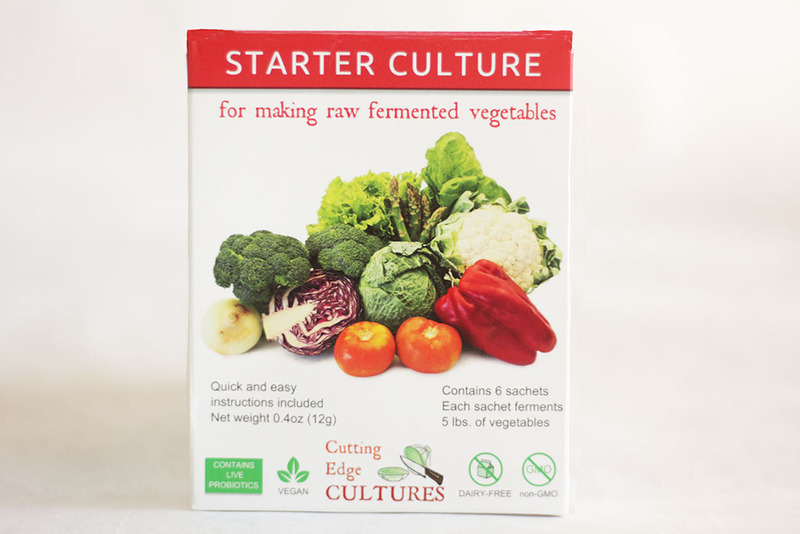 The more starter tea you add, the faster your brew will ferment. 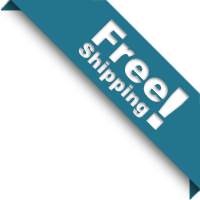 You can also get a heating strip to speed things along. 3. Now if you have established that the above reasons are NOT why your SCOBY is very thin, then something may be off. Make sure you are not cutting the brew time on your tea or using fewer tea bags than recommended. If there aren’t enough tannins in your water from the tea, this can make the brew taste weak Not using enough starter tea, or using the wrong ingredients or measurements, can also make your brew off. So in the beginning especially, follow our instructions to the tea (pun intended). 🙂 Once you have a good base going you can do more experiments with extra SCOBYs. 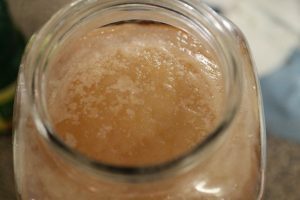 There is No New SCOBY! 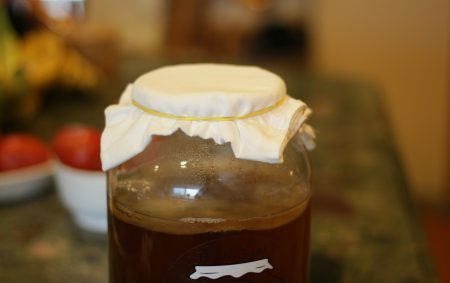 If you have been fermenting for over a week and there is no sign of a new SCOBY forming on the top, and your house isn’t freezing cold, then something is wrong. You will ALWAYS get a new SCOBY forming on top. So either you killed your starter or you weren’t following instructions correctly. What Do I Do With all these SCOBYs?! As you know, after brewing for a while you will have dozens and dozens of SCOBYs. Even more if you make more than one batch or different flavors! 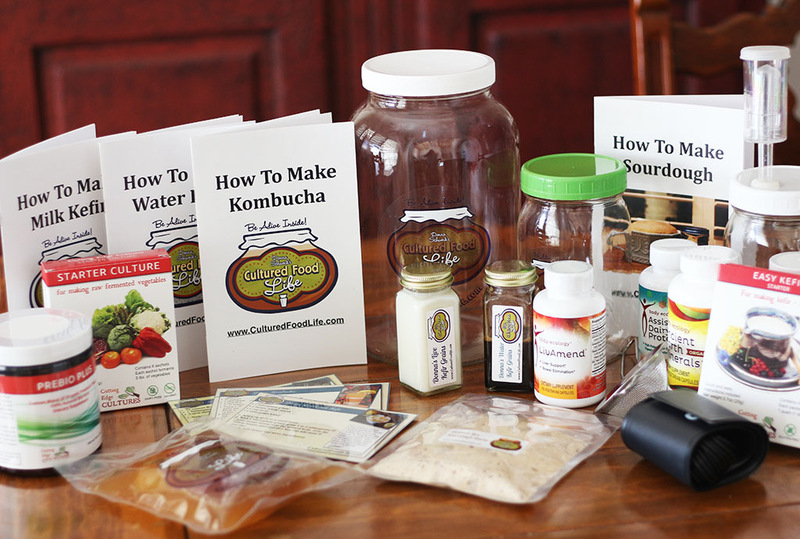 We have a blog: 20 Smart Ways To Use Your Kombucha SCOBYs! 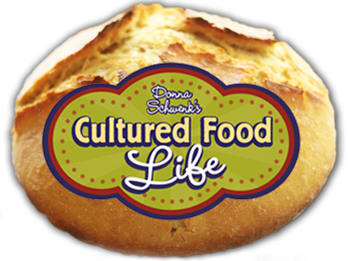 SCOBY Date Balls and more! So, don’t worry if your brew looks funny or your SCOBY isn’t a perfectly flat round pancake. 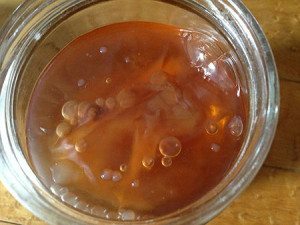 SCOBYs are their own unique creation that adapt to your home. It’s all good. 42 Responses to "Help! 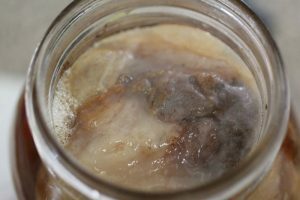 My SCOBY Is UGLY and Other Common Issues"
My kombucha does have mold on the top should I discard the batch? It’s best to keep them separate. 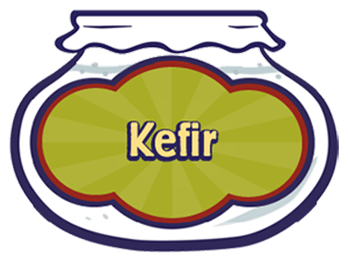 Water kefir shouldn’t be forming a scoby, so I would separate them and make a new batch of water kefir. Just a question, I brew my kobucha and milk kefir side by side on the top of my fridge. Is this okay or could they taint each other? I use a paper towel and elastic over each of them. 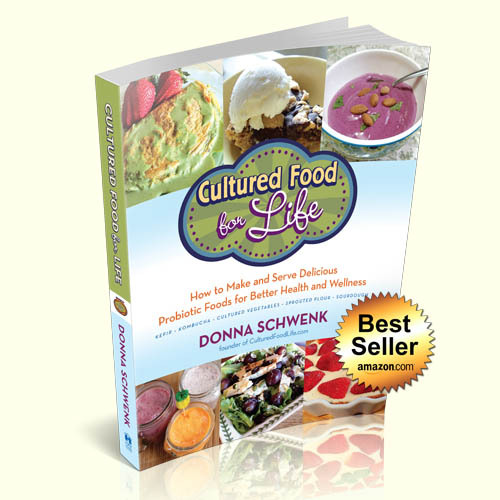 Hi Donna, Thank you for sharing your recipes and wisdom of cultured foods with us. I am second fermenting my Kombucha with bottled cherry juice. It has an unappetizing odor, and I am not sure if it is bad. What might have went wrong? How many carbohydrates does your Cherry juice have? I’m not sure how many carbs the juice had. It was 100% tart cherry juice – 365 brand organic. I had forgotten to put a lid on the jar (I had covered it with a paper towel and I didn’t put enough cherry juice in it. The next day when I realized this, I added the appropriate amount of juice and put a lid on the jar. We keep missing her window for bottling and we end up vinegar. 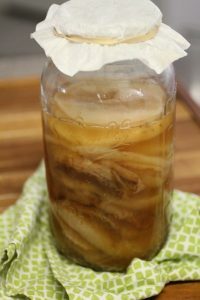 Can I use the vinegar as started with my scoby for a new batch? Yes you can and it will brew faster. Thank you for this helpful article and the other helpful questions and comments it has inspired. My SCOBY is currently in the fridge, between batches, and the jar got pushed too far back and partially froze. 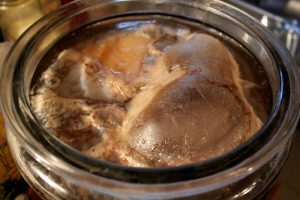 Will SCOBY survive freezing? Usually not but you can try it and see if it will make kombucha. my kombucha is always cloudy but tastes ok can i get it back to clear again? I keep getting a papery thin layer… not a scoby. Im pretty experienced as i have been fermenting for approx 4 years. Its not cold and it still tasted fine but the scoby or layer was so thin it falls apart in my hands as i try to lift it out the jar. I ended up tossing the brew and start again using a spare scoby i had but had the same issue. After a few fails i decided to start a fresh and grow my own scoby from store bought. I think my brew was contaminated or maybe something environmental or maybe the balance of bacteria was effected some how? Have you had this issue before? You were right to get a new scoby. Something was wrong with the brew and your starter wasn’t strong enough to make proper kombucha tea. Thank you, very reassuring. My second batch has a strange looking SCOBY. I have been wondering if I should throw it out. I think I will wait and see if it gets fuzzy. I was also doing pickles and Sauerkraut and kimchi in same back bedroom although a crossed the room. 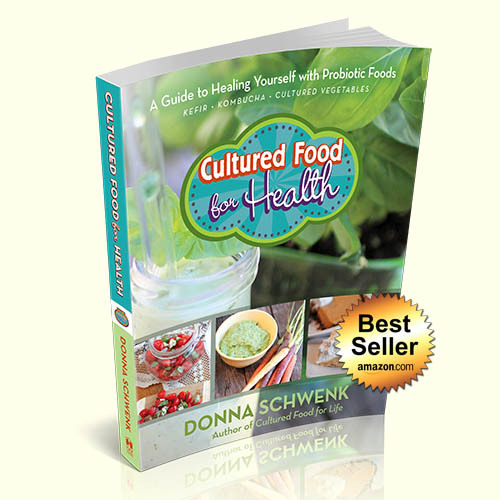 P S bought your book Cultured Food for Health. Love it. I enjoyed your pictures of the scobys. I started in March of this year. I am in Phila. Pa. I am on my 7th batch. The first 2 had no scoby, I figured it was the cold. What I have now is a gray like powder on top. The next one I rinsed off the scoby and threw the tea out. The next ones I threw out the scoby and kept the tea. I even had one batch in the bedroom upstairs, the same thing again. I started with black tea, then oolong, and now Irish Breakfast. I finally like the taste of Irish Breakfast. I thought if I do not find one I like I do not know what I will do. I want to try the Hibiscue tea, next. So what do you think? I did not see any thing like mine. Thanks. Thank you for the article. It is most informative. I often was wondering about y scoobies appearances. I took a brake from brewing because my blood glucose level was going up after I drank Kombucha. Even when brewing for 10 days to have less sugar in my Kombucha; longer made it turned to vinager. That made me very sad and thus promping my brake! So I put my scoobies in a mason jar with kombucha and a lid on it. It has been there for about 2 months already. Are they still good you think? And if I brew 12 cups of kombucha what is the minimum amount of sugar I can use in it? Thank you very much. Ok this is a crazy question! Since scoby is a bacteria do you think it would workin compost toilet/outhouse? I actually don’t really know the answer to this question, sorry! Haha I am not sure on that you would have to try it! But make a note that it could make a new scoby in your compost and clog it up! This was/is a fascinating and very helpful topic to enlarge upon. You answered many questions I often wondered about. 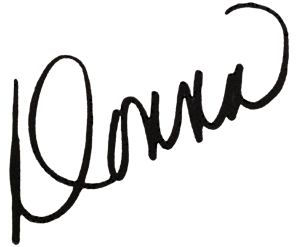 A generous offering of your immense talent and experience. Filtered or spring water is best. Distilled water doesn’t have ny minerals so we don’t recommend it. Wonderful post! Love the pictures. That was very helpful! 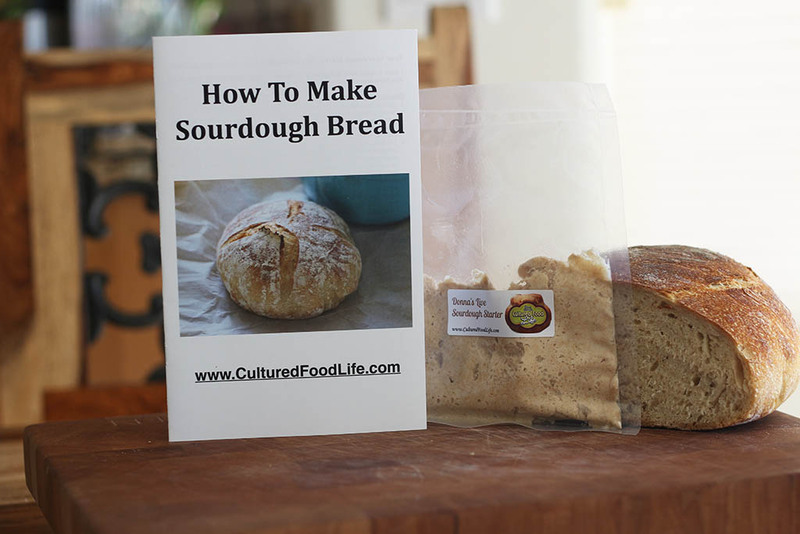 Thank you for the informative article- can’t wait for ideas on what to do with all that scoby. This information is very helpful. The illustrations help very much. I have scobys that look like some of these, and mine are not all the same. 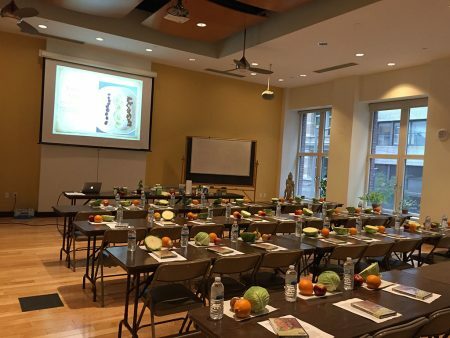 Thank you for this “class”. Thank you for all this reassuring information. I have many scobys that I have saved in very little liquid in a covered container. How long do they keep, and can i still use them? It has been several months. 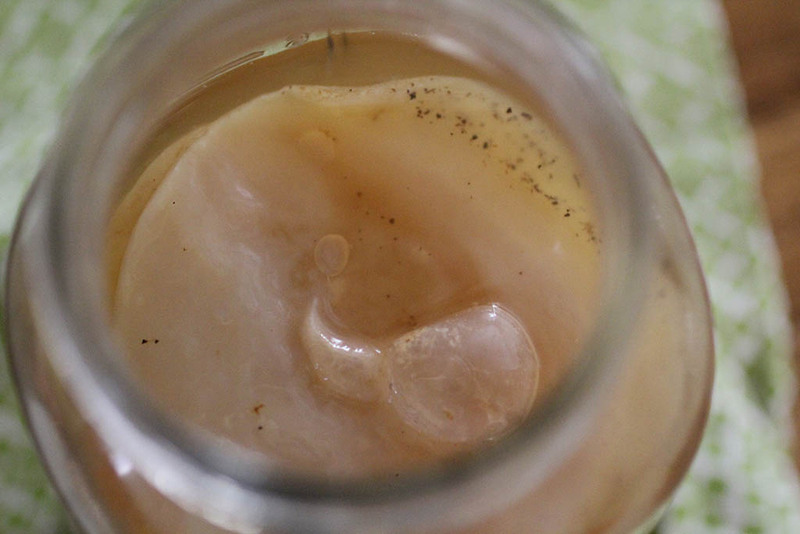 I also made a batch of kombucha that there was a mini scoby in the final bottle, I did not see it before I drank it, there was no taste to this but I did not like the texture in my mouth so I strained it before drinkingthe next time. How can I prevent this in the future? Usually a month or two is about the limit to store a scoby. 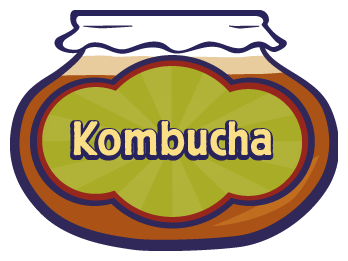 You can filter your kombucha through a coffee strainer before you bottle it to keep it from forming another scoby.